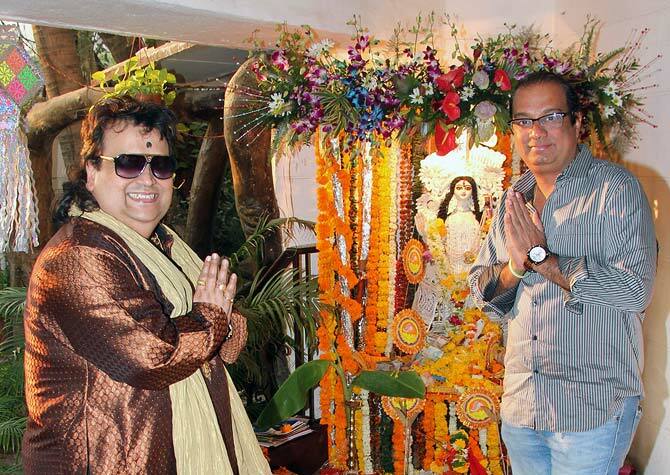 Veteran music composer Bappi Lahiri had friends and family over at his Juhu residence for Saraswati puja on February 4. 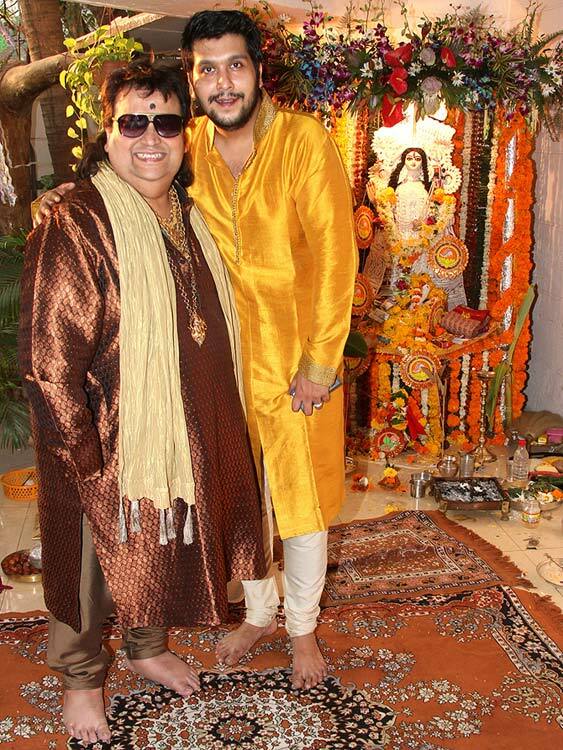 The musician posed for pictures with son Bappa Lahiri. 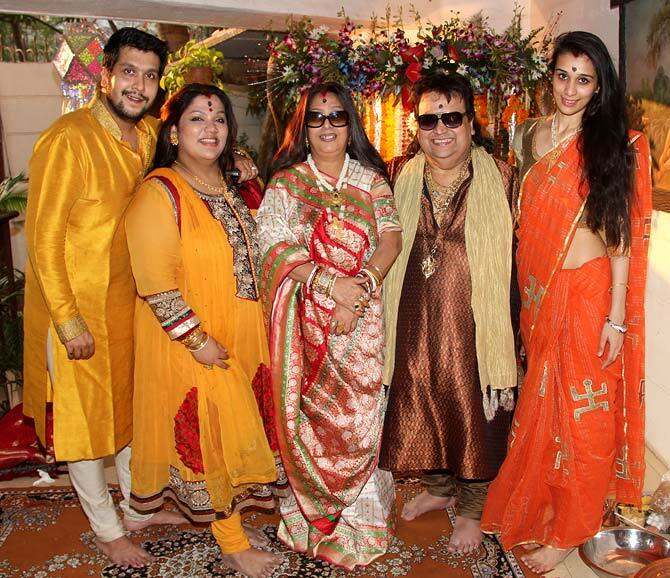 Bappi Lahiri poses for pictures with daughter Rema Bansal (second from left), wife Chitrani (centre) and daughter-in-law Tanisha Verma. 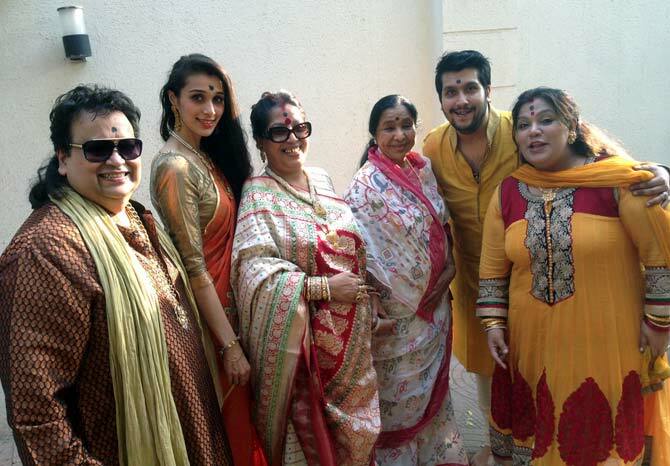 Veteran playback singer Asha Bhosle, one of the many visitors who dropped by the Lahiri residence, is flanked by her hosts. MLA Krishna Hegde offers prayers. 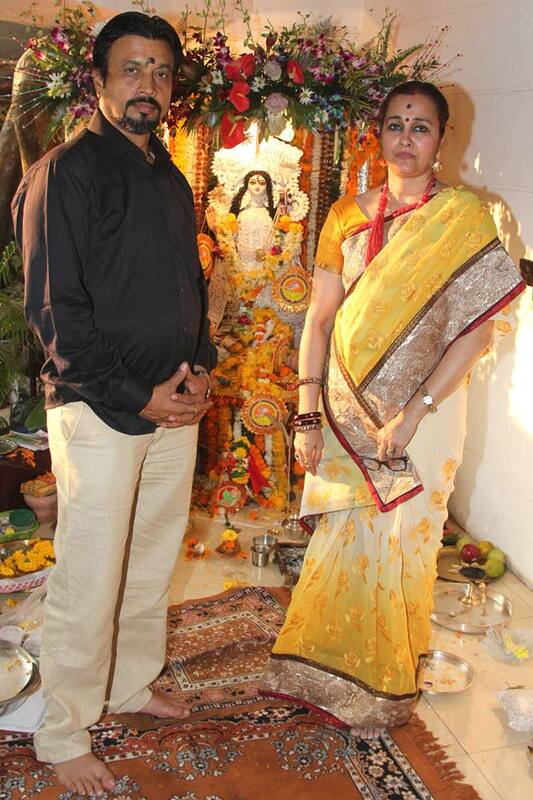 Tanisha's parents Mahendra and Shefali Verma pose for pictures with the deity. Music composer Lalit Pandit, photographed arriving at the Lahiri residence. Oscars 2014: Will Bradley Cooper score over Jared Leto?